We are thrilled to share with you the news that, pending approval of the UW Board of Regents, Dr. Michael Spencer will be joining the School of Social Work as professor, and the Indigenous Wellness Research Institute (IWRI) as Director of Native Hawai’ian, Pacific Islander and Oceanic Affairs. Mike’s passion for social justice, his commitment to community-based participatory research, and his drive for excellence in reducing health inequities for communities of color and indigenous populations aligns strongly with our School’s commitments and mission. Mike will be joining our faculty on June 1, 2018, where he will once again be in the beloved halls where he completed his doctoral studies over 21 years ago. With IWRI’s research ties to University of Hawaii, Department of Native Hawaiian Health, University of Auckland, and University of Waikato, Te Kotahi Research Institute in New Zealand, this senior hire can lift the Institute, School of Social Work, and UW to prominence in Native Hawaiian and Pacific Islander (NHPI) health research – an achievement that no current Tier 1 research institution can currently claim. Moreover, Dr. Spencer’s joining the UW SSW and IWRI faculty is timely, since the NHPI population is rapidly growing on the US mainland. The Census Bureau projects that by 2050, more than 2.6 million NHPIs will live in the United States, particularly on the US mainland. Dr. Spencer’s research foci is regionally relevant as well, since Washington State boasts the second largest NHPI population on the US mainland, representing about 1.05% of the Washington State population. Finally, Dr. Spencer will fill an important research and representative void at the University of Washington. Specifically, there are no tenure-track Native Hawaiian professors at the University of Washington – across any of the three campuses. We are honored and blessed to have Dr. Spencer join our IWRI faculty and family. Mike comes to the UW School of Social Work after 21 years at the University of Michigan, where he served with great distinction at the school, university and community levels. He received multiple awards for his service, including the University of Michigan Provost’s Faculty Career Development Award (2000), the Outstanding Volunteer Service Award from the Detroit Public Schools Head Start Programs, the Jacobs Foundation Young Scholar Award (also 2000), and the Harold R. Johnson Diversity Service Award, University of Michigan, in 2003. Nationally, he was recognized for his commitment to diversity and social justice through his scholarship as the invited speaker for the Council on Social Work Education (CSWE) Carl A. Scott Memorial Lecture in 2014. 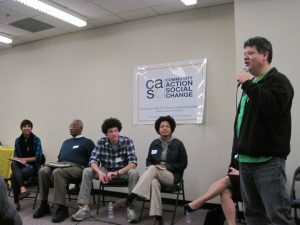 Recently, Mike was elected as a Fellow of the American Academy of Social Work and Social Welfare (AASWSW) for his excellence in research and scholarship; he was recognized last year by his peers in the Society for Social Work Research and the American Academy of Social Work and Social Welfare as a high impact scholar. 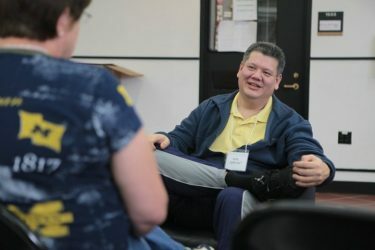 Mike is currently the Fedele F. Fauri Collegiate Professor of Social Work at the University of Michigan, where he recently completed a five-year term as the Associate Dean of Educational Programs at the School of Social Work. For the past two years, he has held a joint Visiting Professorship at the Department of Native Hawaiian Health, John A. Burns School of Medicine and at the Myron B. Thompson School of Social Work, University of Hawai’i at Mānoa. 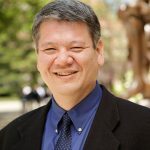 Throughout his tenure at Michigan and Hawai’i he has maintained a Faculty Associate status to the Program on American Cultures, Asian and Pacific Islander Studies at the University of Michigan. He is the Principal Investigator of the REACH Detroit Family Intervention, an NIH-funded, community-based, participatory research (CBPR) project which aims at reducing disparities in type 2 diabetes through community health workers among Latino residents in Southwest Detroit. For the past two years, Mike has shifted his research interest to Native Hawaiian health, a field of study close to his heart. Most recently, Mike’s research includes piloting the initial efficacy of backyard aquaponics systems to address food access, healthy eating, family cohesion and community support among Kanaka ‘Oiwi- Native Hawaiian families. His approach incorporates indigenous herbal medicine (la’au lapa’au), healthy recipes, and community networking and capacity building. Additionally, he has a related project in development to reconnect Native Hawaiians to values of mālama ‘āina, sustainability, and food security by promoting ahupua’a wellness through aquaponics technology. This highly significant and innovative pilot work has high potential for positive familial and ultimately, population health impact. Mike plans to extend his health equity and population health studies, not only to Native Hawaiian, but also to Pacific Islander and other Oceania populations during this next stage of his career. Like his other scholarship, this work is culturally grounded, participatory, and collaborative; all research principles and practices highly valued at the SSW and at IWRI. Mike very much looks forward to dedicating this next stage of his scholarship, activism, and career to reducing Native Hawaiian and Pacific Islander health inequities. We are deeply honored and humbled that this distinguished scholar will soon become a member of our stellar faculty. Please join us in welcoming Dr. Michael Spencer and his wife Shelley to the SSW and UW School community!